There are plenty of affordable hotels in Manila that offer excellent accommodations and a set of winning amenities to ensure a wonderful stay. Most of these hotels are close to attractions and/or shopping centers, making it more convenient for guests to see the best of Manila. Restaurants are also close by for those who would like to venture out in search for a delicious meal. 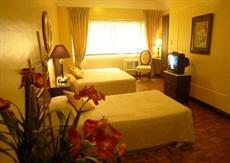 The hotel is located within Intramuros, the walled city during the Spanish colonial period. Guests at this 3.5-star hotel enjoy easy access to famous attractions like the Manila Cathedral, Fort Santiago and Rizal Park. 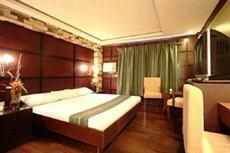 The hotel is of tasteful art deco design, furnished with comfort and style in mind. Amenities at The Bayleaf Intramuros include a rooftop deck, two restaurants, a bar/lounge and conference facilities for business travelers. Guests stay in spacious, well-appointed rooms complete with modern fixtures and appliances as well as wired and wireless Internet access. All rooms open to views of the golf course or the stunning Manila cityscape. Complimentary breakfasts are served daily. The Best Western Hotel La Corona is another good choice of accommodations for tourists looking to explore the best of Manila. It is located at the heart of the city, close to many attractions and other tourist centers. Shopping and entertainment are within easy reach as well as business venues for those who are not traveling for leisure. The hotel is also a great choice for traveling families; it offers babysitting services as well as children’s day care. The hotel stays true to the Best Western standard of comfort in their clean and well-appointed guestrooms equipped with personal safes, high-speed Internet access, air conditioning and mini bars. Guests also need not go far for an excellent meal since there is an on-site restaurant. Centara Manila is located in one of the tourist centers of Manila, close to the stunning Baywalk, Rizal Park and other area attractions. Guests at this four-star property enjoy relaxing in the outdoor pool looking out into the Manila Bay or pampering at the hotel’s full-service spa. There’s also an on-site restaurant for those who would like to have a quick meal without going out of the hotel. A fitness center is available as well as high-speed Internet access in public areas in the property. 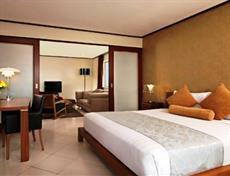 The hotel features 96 comfortable rooms with views of Manila Bay, the hotel courtyard or the cityscape. Entertainment is available though the LCD televisions with premium channels and DVD players. Rooms also have wired and wireless Internet access. Those who would like a fancy experience should stay at the Hotel H20 located within the Manila Ocean Park Complex in Luneta. It is the first aquarium-themed hotel in the Philippines, providing a little extra excitement for guests especially for those traveling with children. Aside from the oceanarium and the jellyfish exhibits at the park, the hotel is close to other attractions like the Rizal Park, the National Museum, Intramuros and the Philippine Convention Center. Guestrooms at the Hotel H20 are tastefully-decorated, some with huge tanks containing live marine creatures. All rooms have complimentary Internet access and a stocked beverage station. There’s a spa and restaurant on site and tours can be arranged through assigned hotel staff. 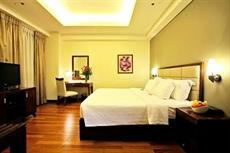 The Pearl Garden Hotel is another excellent Manila accommodation that offers good value and exceptional service. The hotel is ideally located in the tourist center of the city, close to world-class shopping, dining and entertainment venues. Famous Manila attractions are also close by and tours to these sites can be arranged through the hotel’s tour services. The Moonriver Bar and Restaurant offers delectable fare for those who wish to dine within the premises. 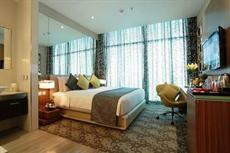 All rooms are designed with guests’ comfort in mind, with premium beddings and signature bathroom amenities. Wireless Internet access is available in all rooms, as well as satellite channels viewed on flat-panel televisions. At first glance, the Malvar Hostel located on a street of the same name is totally unassuming but guests at this affordable Manila hotel enjoy both its location and the amenities it offers. 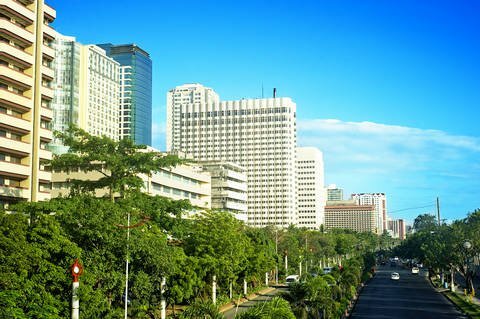 The hotel is minutes from most of the tourist attractions in the city including the Manila Zoo and Botanical Gardens, National Museum and the Baywalk. This is one of the affordable hotels in Manila that is a short distance from the Ninoy Aquino International Airport. All guestrooms at the Malvar hostel have spacious private bathrooms, high-speed Internet access, air conditioning and a mini bar. Those traveling for business can conduct their affairs at the property’s conference facilities or business center. 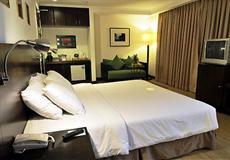 The Pearl Lane hotel is another property considered by many as one of the best affordable hotels in Manila. The hotel is sandwiched between the business and historic districts of the city, making it a convenient base for both business and leisure travelers. Guests enjoy easy access to attractions, restaurants, shopping centers and entertainment venues, all within a short distance from the property. Hotel rooms provide comfort through large beds with premium linen, spacious bathrooms with tubs and showers and guest-controlled air conditioning. Guests are also assured of convenience with currency-exchange services, a tour desk and airport transfers. There’s also an onsite restaurant offering excellent dishes. Set in a pre-war mansion, the Orchid Garden Suites in Manila’s business district is an ideal choice of accommodations for travelers looking for comfort and good value. The three-star property is located close to attractions like the Folk Arts Theater and the World Trade Center. Excellent shopping is also close by at the heart of Manila. There’s a swimming pool, private manicured gardens and a cozy lounge for guests who would like to relax in the premises. All 89 guestrooms at the Orchid Garden Suites are equipped with amenities required by a modern traveler as well as luxuries like a full-sized bathroom with tubs and panoramic views of the city. There’s a restaurant on site where guests enjoy delicious specialties prepared by world-class chefs. The G Hotel Manila by Waterfront is a four-star property located at the heart of the city’s business district, close to many attractions and shopping venues. Guests at the hotel enjoy relaxing in the outdoor pool (seasonal) while connecting to the Internet via complimentary WiFi. 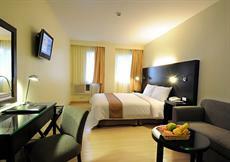 Business travelers may also use the conference facilities and business center of the hotel. Airport shuttle services are also available through prior arrangement and at a surcharge. Guests at the hotel stay in spacious well-appointed rooms with balconies opening to picturesque views of the city. All accommodations are air conditioned and equipped with modern fixtures and appliances to ensure a wonderful stay. Guests may also opt to prepare their own meals in the functional kitchens within their rooms. Also located within Manila’s business district, Kimberly hotel provides guests with easy access to attractions, restaurants and shopping venues in the city. The hotel is also fairly close to the airport, making it very convenient for getting in and out of Manila. The Kimberly Hotel is one of the affordable hotels in Manila that provide true value for the money through unparalleled customer service and winning amenities. Guests at the hotel enjoy tour and ticketing assistance as well as catering and event planning services. 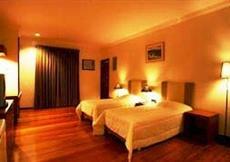 All accommodations have comfortable beds with premium beddings and spacious bathrooms with complimentary toiletries. Guests wake up to daily newspapers delivered to their doorsteps or picked up at the front desk if desired. All modern appliances are available in all rooms at this hotel.